Workflow Management System. Workflow Automation Software. The latest workflow management systems really do give you the opportunity to review your business processes and automate many aspects of them so that they work for the business and are a good fit for users too. A typical workflow prescribes how information is treated as soon as it enters the business, and then how it is channelled, with checkpoints for comments, escalations and approvals, prior to actions, reports and archiving. One of the big advantages of a digital workflow system is that the status of work is always apparent, and there is a comprehensive record of activity by time and staff member. Workflow can be applied to core business functions such as accounting and HR processes or to production such as supply chain and manufacturing processes. A reliable digital workflow liberates users and protects the business. Workflow logic should follow what is right for the business and the logic should be apparent to users. Process owners should draw a straight line with key steps in the process that require input, approval or denial. Choosing a Cloud-based workflow management system is generally the right step. Users can review actions, give approvals and access data and reports from any location at any time. Cloud-based software also overcomes the need for up-front investments in software and infrastructure that has to be maintained and updated. You may find that your new workflow automation throws up surprises. It is important that you run your workflow system and not the other way round. You may find that you need a new step, or that steps need to be modified or consolidated. With Document Manager you will be able to review many processes at a glance, so you can see which ones are on track and which ones are in need of attention. Document Manager’s dashboard draws your attention to the most pressing workflows. People will abandon a workflow platform if they are not reminded to return when needed. Document Manager sends notifications via email or push notifications to mobile to alert system users of their tasks. Workflows are sequential, but some may have several strands that happen at the same time. Take a travel reimbursement. It usually needs a manager’s approval, but instead of creating different workflows for each department, you can create one workflow that follows a track depending on which department the requester chooses. Workflows frequently contain sensitive information that cannot be shared with everyone in the process. Document Manager allows you to customise what each individual user can see and edit. Workflows do not operate independently of other processes. Documents, sales reports, cash-flows and calendars are important elements that must be included as a part of the workflow. Document Manager allows you to integrate with leading business systems. 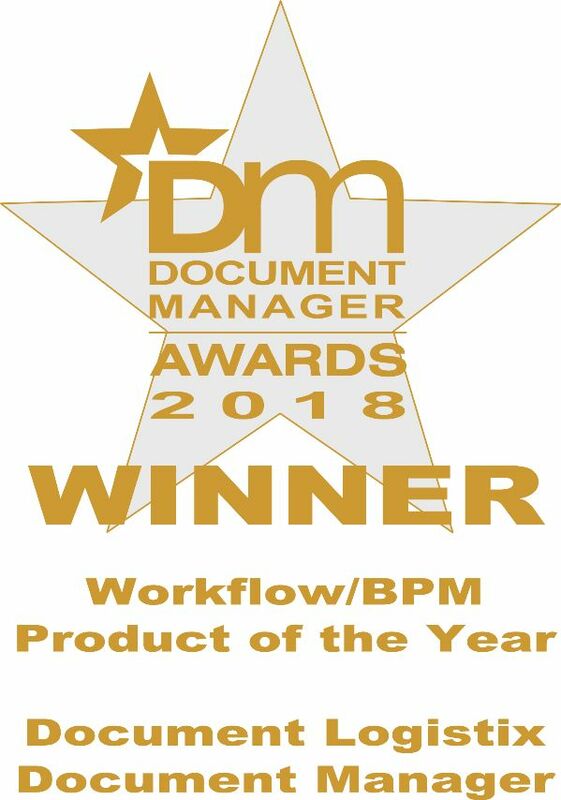 Document Logistix is a progressive, innovative company that owns its workflow system IP and appreciates the customer’s need for fairness and value. We therefore licence our products to reflect the users true needs, from administrator to occasional user.